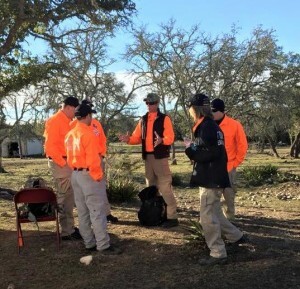 TEXSAR deployed on Sunday, January 18th at the request of Gillespie County Sheriff Buddy Mills to assist the Sheriff’s Department and the Harper Volunteer Fire Department to search for 3 missing children. By 08:00, TEXSAR had 20 GSAR Technicians, 5 K9 Teams, and IMT personnel in the field in rural Harper TX. At approximately 09:15, the three children were safely located at a neighbors house, after spending the night outside. TEXSAR would like to thank the Gillespie County Sheriff’s Office and the Harper Volunteer Fire Department for their gracious hospitality and support.